Please do not hesitate to message me for any questions on what size would be best for you. The child in the picture is 48 in tall and 54 lb wearing are size 7/8 dress. 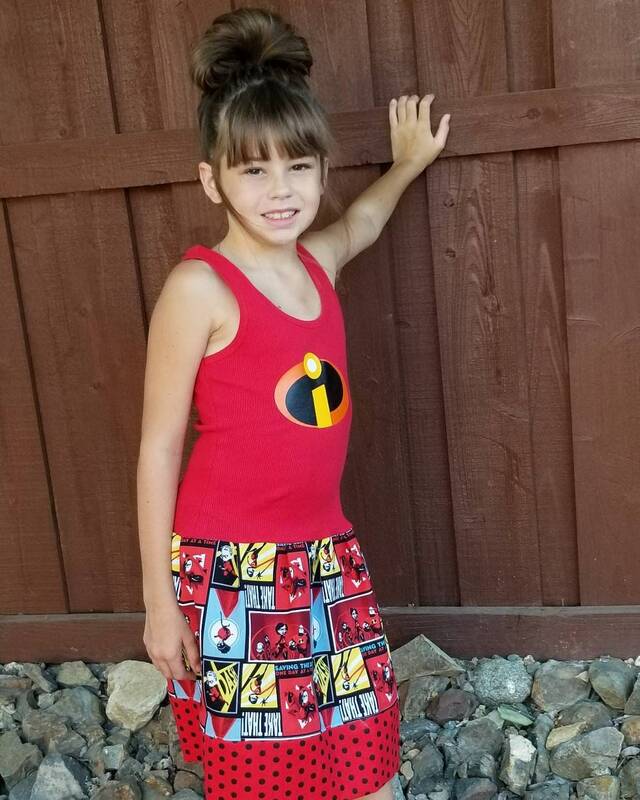 The Incredibles dress was perfect for my daughters birthday party. Since her party she wants to wear her "Violet" dress as she calls it almost everyday! The dress is great quality. Perfect for a party or even just play! Love the dress!